The Recycler Curve USB Flash Drive is an eco-friendly data storage device. It’s smooth, polished looking body is made out of recyclable paper. It’s a distinctive looking “green” flash drive that packs a lot of punch. It can store anywhere from 128MB up to 64GB. The Recycler Curve has up to 10 years of data retention and comes with a 3 year warranty. It also comes with a magnetic cap to keep your USB protected from the elements. 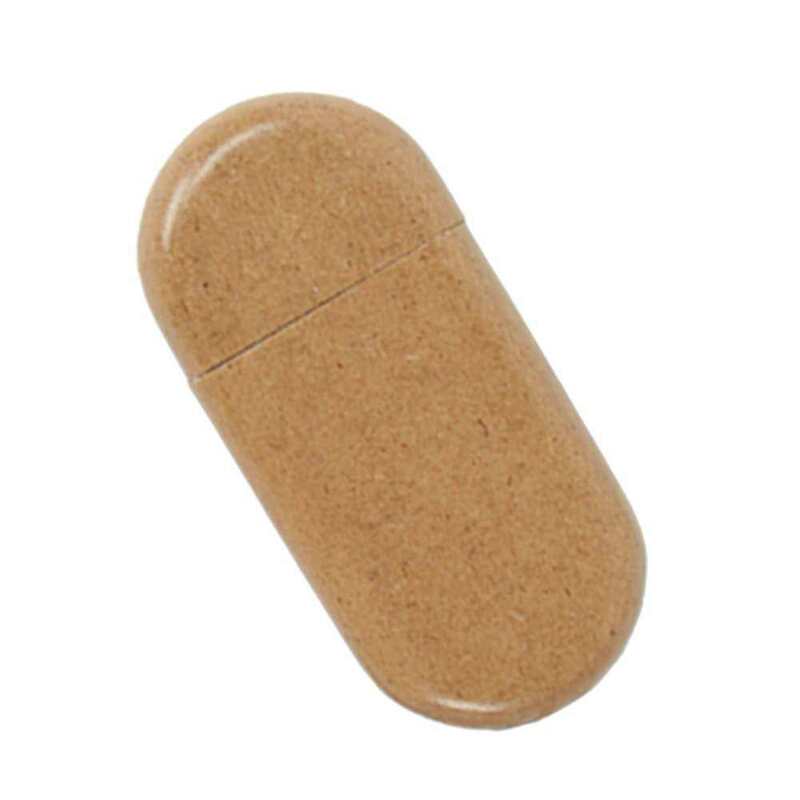 This environmentally sound flash drive is available in bulk or as customizable drives. Going “green” never looked so good! The Recycler Curve USB Flash Drive is beautiful, eye-catching, and made from recyclable paper. 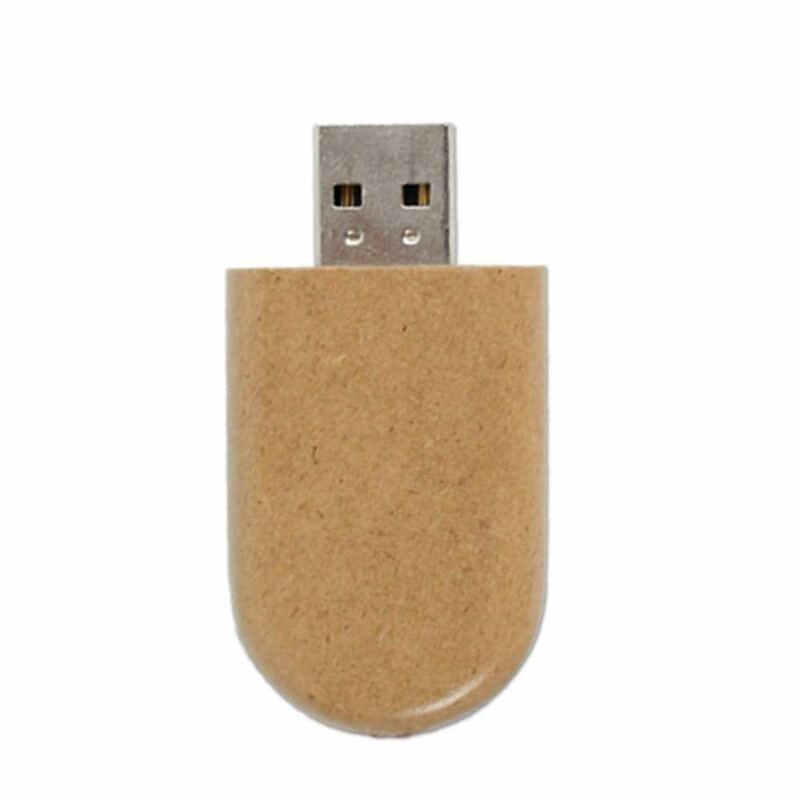 This natural looking flash drive is an eco-conscious solution for your data storage needs. The Recycler Curve’s storage capacity ranges from 128MB to 64GB, offering you plenty of space to store your documents, photos, PDFs, music, and multimedia. The Hi-Speed USB drive has up to 10 years of data retention and comes with a 3 year warranty. The Recycler Curve comes with a magnetic cap, so you won’t have to worry about losing track of it. This environmentally friendly drive is fully supported by PC, Mac, and Linux. 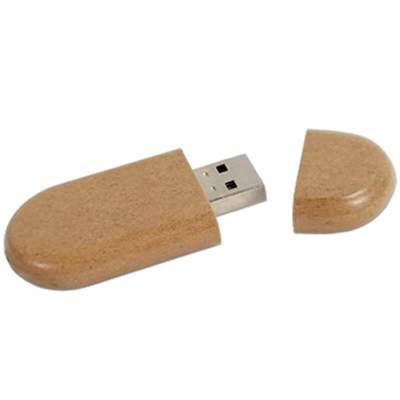 The Recycler Curve USB is available in bulk at wholesale prices! You can also get customizable flash drives. If you're part of an organization that's proud to be ""green"", getting your logo placed on these little beauties is a great way to promote your brand.